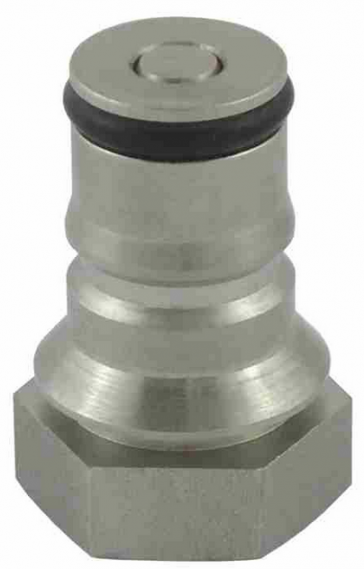 This Tank Plug Assembly Is for the Liquid Side of a ball-Lock type soda keg. Tank Plug assemblies are heavy-duty stainless-steel and threads onto the top of a Cornelius ball lock keg. Assembly includes the poppet. They are used to attach the beer line to the soda keg. Replacement part for ball lock keg.